1 OWNER! 0 ACCIDENTS! AWD!!! NAVIGATION! DUEL SUNROOF! LEATHER + HEATED SEATS! 2ND ROW = BUCKET SEATING! LANE SIDE ASSIST! BACK UP CAMERA W/ BIRD'S EYE VIEW TECHNOLOGY! POWER LIFT GATE! ALLOY WHEELS! Thank you for your interest in one of Preferred Auto Fort Wayne State's online offerings. Please continue for more information regarding this 2018 Chevrolet Traverse LT Leather with 18,339mi. Do so much more with one vehicle. This Chevrolet Traverse gives you everything you need an automobile to be. 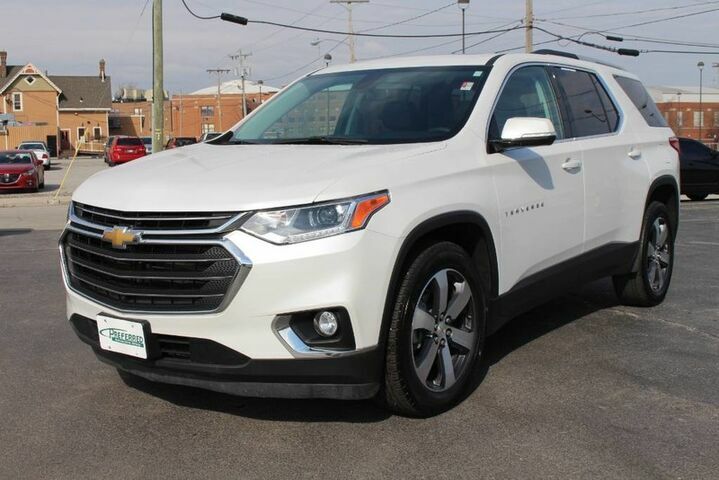 There's a level of quality and refinement in this Chevrolet Traverse that you won't find in your average vehicle. Comfort. Performance. Safety. Enjoy all three with this well-appointed AWD 2018 Chevrolet. This is the one. Just what you've been looking for.